Join the Doane University Tigers Women’s Soccer Fall ID Camp. This 2-day soccer training program will run from October 13 until October 14. It is inviting all girls in grade 8 up to grade 12. 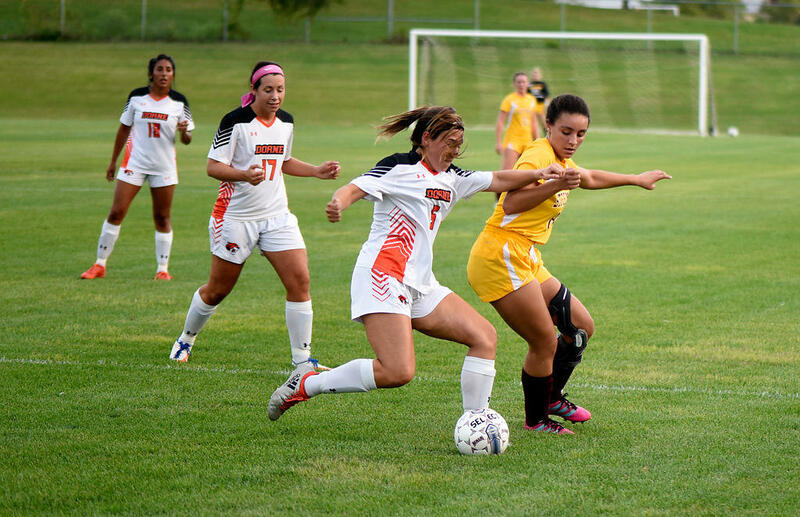 It is a unique training program that provides outstanding players a venue to showcase their skills and join the Doane University women’s soccer team. In addition, the program also provides the participants an experience on how it is like to train under the supervision of an elite soccer coaching staff. It integrates college-level training and pretraining sessions. There will also be competitive small sized and full sized matches, a question and answer with the coaching staff, and a campus tour. Moreover, the event will take plate at the top-notch Fuhrer Fieldhouse in the Doane University campus. Doane University is a private, coeducational, nonprofit, liberal arts university in Crete, Nebraska. It also has other campuses in Lincoln, Grand Island, and Omaha. The university is the oldest academic institution in the state of Nebraska. The university’s academic performance is gaining recognition consistently every year. In fact, it is 158th in National Liberal Arts Colleges, 2018 edition of Best Colleges rankings. It is also 144th in the 2018 High School Counselor Rankings. The university as a whole has an accreditation from the Higher Learning Commission. Meanwhile, its Teacher Education has an accreditation from the National Council for Accreditation of Teacher Education. And, an accreditation from the Commission on Collegiate Nursing Education for its Nursing program. In athletics, Doane University fields 19 intercollegiate sports teams in the Great Plains Athletic Conference of the NAIA. The nickname of the athletes’ is Tigers and orange and black are their colors. In-charge of the Doane University women’s soccer program is Head Coach Jennifer Kennedy-Croft. Coach Kennedy-Croft is leading the Tigers since the 2016 season. She the former University of Connecticut women’s soccer Assistant Coach. Then, the Tigers women’s soccer Graduate Assistant Coach is Chris Lawson. Coach Chris Lawson is at the same time the Goalkeeper Coach. Join the Doane University Tigers Women's Soccer Fall ID Camp. The program integrates college-level training and pretraining sessions.